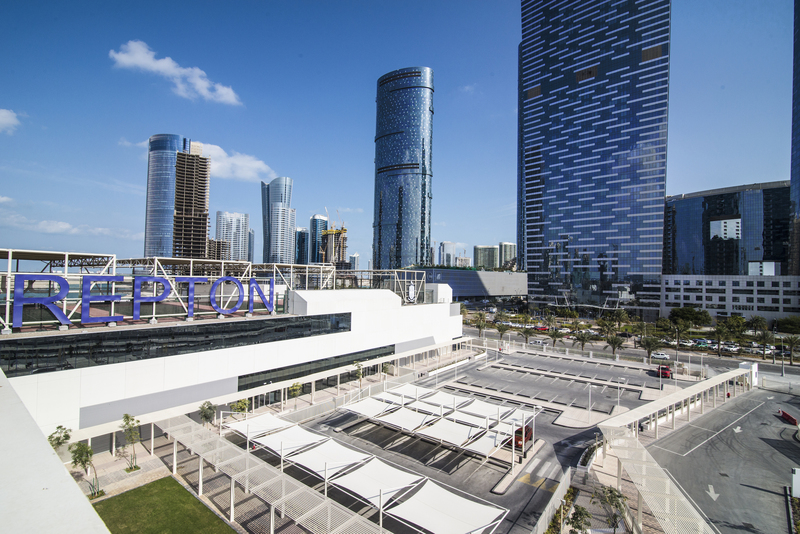 Repton Senior School Abu Dhabi, officially named the Fry Campus after the gifted alumni, C.B Fry, was inaugurated during 2017, bringing a British-curriculum education to 1,800 students within a state-of-the-art educational facility. 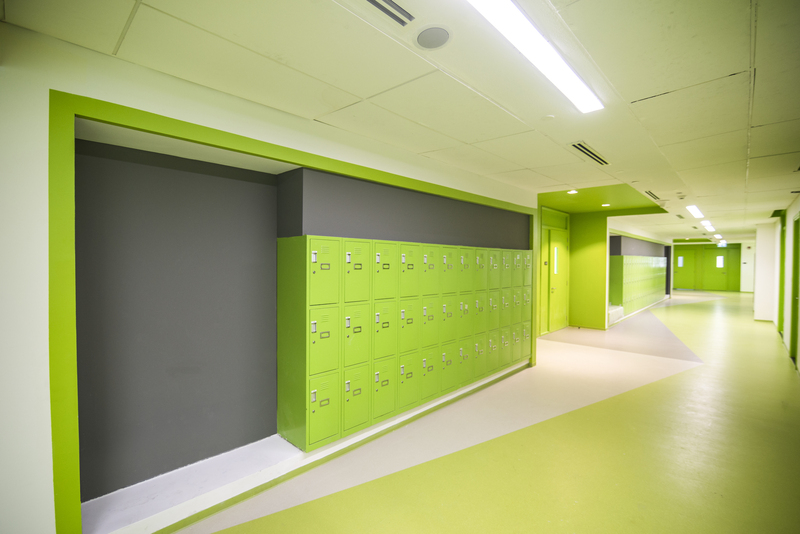 BSBG provided full design solutions for the campus in a project led by Associate-Director Demetrios Tourtouras alongside Lead Interior Designer Gisella Minoza. In this blog we discuss with Demetrios the design features and approach adopted in providing a unique, high-performance educational facility that aspires to ignite a passion for learning and inspire creativity in students. The traffic strategy dictated the location of buildings, while the entry and exit points for the site were, in turn, directly affected by the three surrounding high speed roads. BSBG’s close collaboration with Abu Dhabi Department of Education and Knowledge and the Department of Transport enabled working drop-off points and road access to ensure safety and convenience for students traveling to and from the school. From an aesthetic perspective, externally the school is uniquely designed with modern and linear elements and large faceted GRC panels. 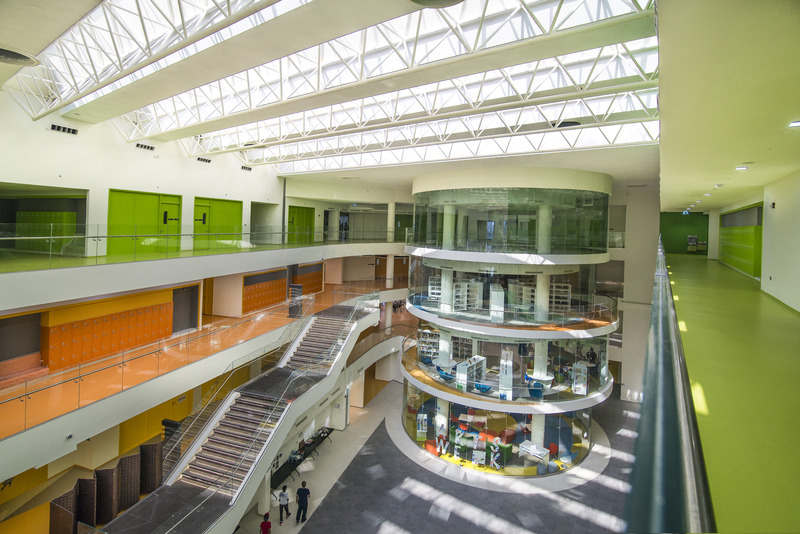 But it is the inside areas that truly set the design apart, with particular reference to the end user journey which serves to provide a welcoming and collaborative environment for the young students. “The journey for the end-user, in this case the young students, was something we paid great attention to,” Demetrios continues. 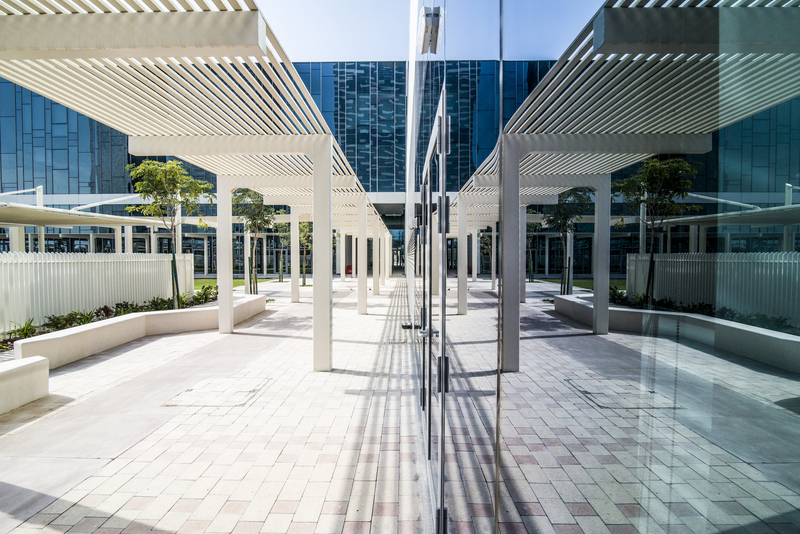 “They enter via the drop-off area and are immediately faced with an open void, which is essentially conceptualised as an open valley promoting visual connections and encouraging communication between students. The anchoring element of the valley is the cylindrical glass library, which represents the academic heart of the school. 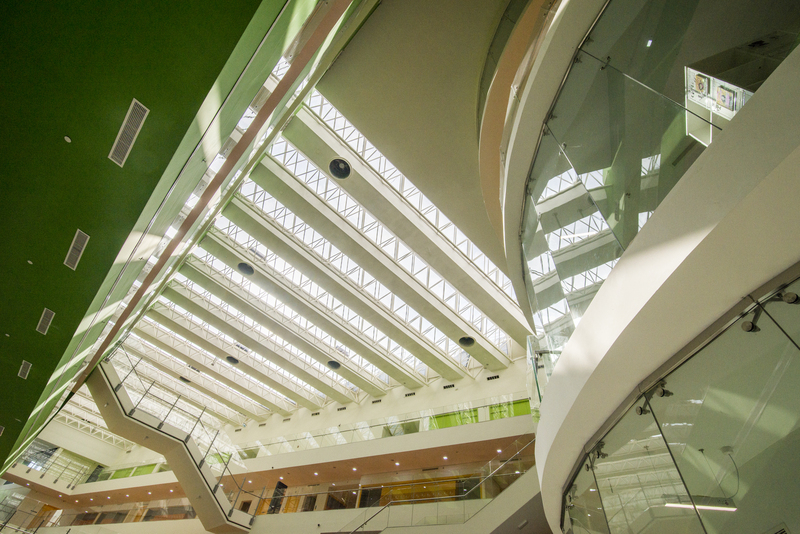 Views into the library were important to enable the permeation of an academic ethos.” Upon entry, the internal atrium is instantly vibrant and colourful, flooded with natural light from the large skylights above, giving students a space in which they can interact comfortably with each other. “As you look upwards, you will note each level is separated by a different colour to offer a distinction between year groups,” Demetrios says. “Corridors running around the valley have been generously sized to enable breakout spaces and promote gathering areas for the children. Within the classrooms, we aim for a more neutral palette so as to provide a backdrop for students to work in. They’re designed with a very similar aesthetic quality to that of a museum or gallery.” The facilities include a six-lane, 25-metre indoor swimming pool, three indoor sports halls, and a multipurpose hall for creative arts. Above that is a viewing platform that offers views of all the sports halls below, and on the roof are tennis courts complete with shading. Repton is predominately focused on sports and technology, and as such almost 40% of the volume of the project is dedicated to sports facilities which, as Demetrios explains, are state-of-the-art. “These are first class facilities. The fit outs of those spaces are really top notch. The client was refreshingly committed to maintaining the very highest level of quality, not only in the standard of facilities, but also through the entirety of the design.” The campus can accommodate up to 1,800 pupils, and opened last September to pupils from years three to six. Next academic year, three more year groups will be added. In addition to designing the concept for the school, BSBG was the Lead Consultant, completing full Detailed Design, Construction Documentation, Authority Approvals, and overseeing the tender process. The project was also nominated for Project of the Year by Middle East Architect.